by using simple options strategies. Amplify your stock portfolio return! WHY LEARN TO TRADE OPTIONS? Because investing in today’s markets without solid knowledge of options trading can be a major liability. Since options have become so liquid today, it would be a mistake to not use them in your trading and investing strategies. You commit much less capital to access a stock or an ETF, without having to buy it. This allows trading with very low capital requirements. A lot can be done in the options market with $5,000, which is not the case in the stock or futures market. You can create unique strategies to take advantage of options’ characteristics and market conditions (price, time and volatility). The return on a stock portfolio can be greatly amplified. You can actually use options to hedge his stock portfolio and manage risk. The trader has the ability to make money when markets move in any direction (up, down, or sideways), with limited and controlled risk. To learn the key options characteristics and how options work. To trade profitably by using essential options strategies. To understand why options are the most versatile financial instrument I have traded in 17 years and how you, too, can successfully use it in your trading & investing. Trade profitably an options portfolio (built exclusively with options). Amplify your stock portfolio return by using simple options strategies. Assess and manage your risk while trading options, which is key to winning in any kind of trading. Know where the edge comes from in this business and how you can fix probabilties in your favor. Definitions and characteristics of CALL and PUT options. The rights and the obligations of options Buyer and Seller. Real-life example. The Options Chain. We will review a variety of Options Chain examples on several brokerage platforms. The option Premium. Intrinsic and Extrinsic Values. ITM, ATM, OTM options. How to profit as an options Buyer and as an options Seller. Practical examples. The option Premium: Price, Volatility, Time Decay. Practical examples. Probabilities and Standard Deviation. Practical examples. Margin requirements for options trading. The most important Greeks and what they tell us. Practical examples of Greeks on several brokerage platforms. Choosing options to trade and managing trades by the Greeks. What do major markets players promote about trading options? Where is the truth, and why is it that way? Essential steps in selecting options for trading. Challenges of live execution; getting your orders filled. Finding a good options broker: commissions, trade analyzers and scanners. The technical and mindset weaknesses of options traders. Chart reading skills and why you should not trade opinions. The Long Call and the Long Put. Case studies. The Protective Put and the Married Put. Case studies. The Covered Call and the Cash Secured Put. Case studies. The Option Spreads. Case studies. The “Options Seminar – The Essentials” is a live webinar, with Mihai Vasiliu as your host. It is available by appointment, for individuals or groups. The seminar can also be done face-to-face at a physical venue. The length of the webinar is usually between 7 and 8 hours, (depending on the number of attendees) with a 1-hour break for lunch. If you have never heard about options the seminar might take longer, about 10 hours, and in this case it can be done over a two days period, based upon request and time availability. To reserve your place for the “Options Seminar – The Essentials”, contact Mihai Vasiliu at mihai@tradementoring.com, to schedule your class. Mihai will be happy to work with you in setting up a class at a mutually agreed-upon date and time. You will need voice capability or Skype and a high speed broadband internet connection. We can check your internet connection with you, prior to the Seminar time, if you simply connect with us via the Skype Chat option. The cost of the “Options Seminar – The Essentials” online class is €550. If you have any question about the “Options Seminar – The Essentials”, please e-mail us at clientservice@tradementoring.com, get in touch with us via the Skype Chat option, or call us at +40 766 148 888. You’ll receive more detailed information by e-mail once you have registered for the webinar. If you have not received any e-mails from us within 24 hours after you place your order, please notify us via e-mail: clientservice@tradementoring.com, so we can resend the information. These guys tell you straightforward that options trading is a craft and a business. The seminar exposed me to reality. I had read some options books before but now I really know how to play with effective options strategies. I have never been answered so many questions during a webinar. Mihai is also offering me all the after-seminar support that I need. Thanks! Everything clear and to the point, this seems to be the foundation I need for trading options. 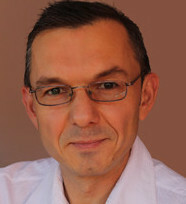 Mihai, thank you for the excellent webinar yesterday. It is amazing how patient you can be when explaining it all to me. Mihai teaches you how to trade options. Real trade examples with his actual fills; great availability to answer as many questions as I had during the seminar. I definitely received more than what I expected. I was impressed and I feel challenged to learn more about trading options.